Bakers like to talk to each other. We’re slightly odd creatures, after all, and it’s good to know we’re not alone in thinking about different hydration levels in artisan breads or the effect of baking soda on muffins that have been refrigerated overnight. Baking is a solace for so many of us. But baking is also an interesting mix of mad scientist geekery and June Cleaver lifting warm cookies from a baking sheet as the kids hit the kitchen after school. We deal in butter and sugar. Or coconut oil and honey. Or shortening and maple syrup. We make cookies. And people like it. The other day, our friend Kim Boyce stopped by our cooking studio with her kids, her best friend, and her two kids. They were on a spontaneous road trip for spring break and wrote to ask if we had time to see them if they decided to take a ferry trip to Vashon. Yes. We always have time for Kim. Do you know Kim’s marvelous baking book, Good to the Grain? It has been one of my favorite baking inspirations for years now, a celebration of good whole grains like amaranth, buckwheat, and teff. She blended wheat all-purpose flour with those whole-grain flours to make maple cakes, shortbread cookies, and berry scones. I substitute our gluten-free all-purpose flour in nearly every one of her recipes and those baked goods come out of the oven warm and enticing. They’re not good for gluten-free. They’re just good. Start with a great recipe, use our gluten-free flour in place of the wheat flour, and you have a baked good people like. That’s why we worked on this blend for years. We wanted to make it easy for you. And for Kim. She’s been starting to play with gluten-free baking lately (yay!). So we talked about all this, about raw buckwheat instead of the toasted stuff, about the sweetness of millet, and the cookie dough we had in the refrigerator. Time to bake. The kids were a tumble of wonderful people drawing at the long table or taking photographs of the pond outside with my old Polaroid land camera (with my permission). I made them wait to eat the salted oatmeal cookies. I wasn’t being mean. I needed to photograph them, of course. After 10 or 12 considered shots, I called out, “Go!” These disappeared quickly. Everyone loved them. You know cookies are good when the kids of a world-renowned baker come up to you spontaneously to say how much they liked them. (Sophia suggested that kids might like the cookies a bit smaller, and with less salt on the top. Duly noted.) These were a hit. Kim loved them too, especially the crisp edges that tasted a little like caramel, something like a florentine cookie. “No one could tell these are gluten-free, Shauna.” I grinned. My work for the day was done. We want to share our gluten-free flour with you. (We’d love if you wanted to buy some, of course.) But we would also like to share with you some of the lessons we’ve learned about how best to bake with it. So we’re going to give you a few tips over the next few weeks, to make sure you have success with the baked goods in your kitchen. Today, I want to talk about hydration. The best cookies come from dough that has rested in the refrigerator before you bake it. Why? If you bake a cookie just after making the dough, the flours and liquids and fats haven’t had time to mingle and dance together. If you are desperate for a cookie and make up a dough to bake one right away? You’re going to have a very cakey cookie. It also won’t taste like much. Wait an hour, or three, or overnight to bake that cookie, and you’ll have a dry crumbly dough that is fully hydrated. It bakes up with a chewy center and crisp edges. This is my ideal cookie, not a little disc that’s a cake-in-training. Plan ahead. Fully hydrate your cookie dough before you bake. 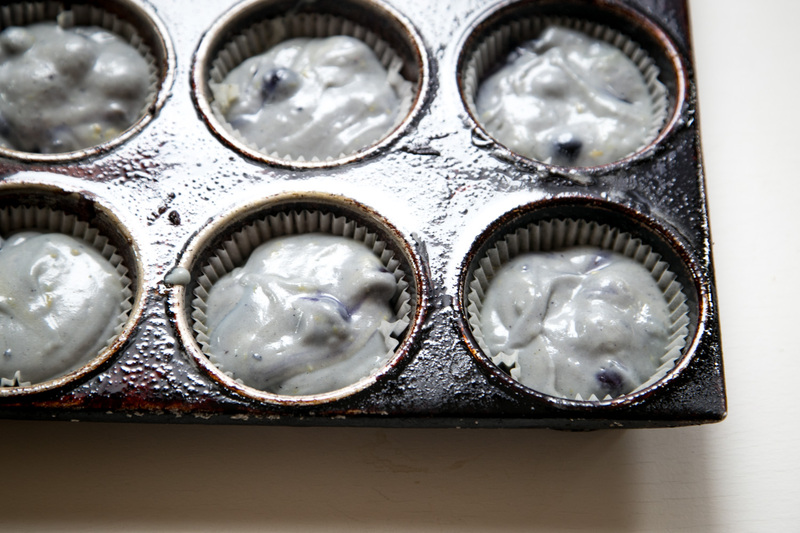 Did you know that you can refrigerate muffin batter overnight before baking those muffins? Again, the flours and liquids mingle fully when you do this. Some homemade muffins taste too much of raw flour for my taste. The ones that wait never do. Better yet, you can set up a muffin batter, scoop it into liners, and put them into the tin, then slide them into the refrigerator. The next morning? Put that muffin tin right into a heated oven and bake them. Warm muffins for breakfast. Some people seem to feel that refrigerating muffin batter overnight makes the muffins a little dense. Do the leaveners dull in the hydration time? I haven’t found that to be true. This conversation on egullet, mostly from professional bakers, seems to bear that out. Danny remembers refrigerating large batches of muffins in his bakshop class in culinary school for baking the next morning. And I know many a professional baker who does this. If you’re worried about the muffins not rising high enough, you could add just a touch more soda to the recipe before you refrigerate it. (Try another 1/4 teaspoon.) But here’s a tip I love. 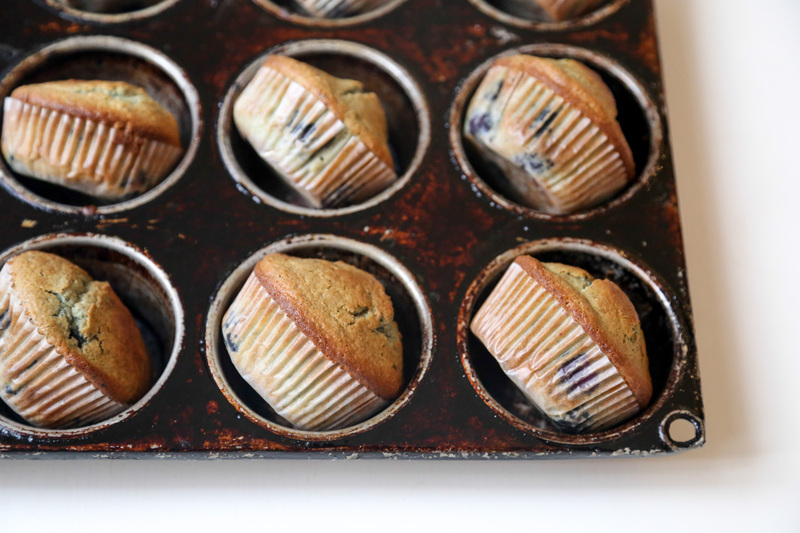 Bake the muffins at 425° for the first 10 minutes, then drop the temperature to 375° after. The oven spring that comes from the cold muffins meeting the heat of the oven can be pretty spectacular. Also, a tip I learned from Kim: when the muffins come out of the oven and they’re cooling, turn them on their sides in the tin. It allows the bottoms to cool more fully, immediately. Pancakes always seems to rise up higher and bake more evenly if you make the batter the night before and put it in the refrigerator. Besides, who wants to make pancake batter on a Saturday morning? Pull it out and start cooking while the kids are watching cartoons. Breakfast! There’s much more about hydration I could say, especially when it comes to gluten-free breads. Instead, I’ll leave you with this thought. When you start baking with our gluten-free flour, or whatever one works for you, you might find as I have that it changes you as a baker. For the better. When I was first diagnosed with celiac, I threw out all my baking books and cleaned out my pantry of any baking supplies. I was never going to bake again. You never could have told me that nearly a decade later I’d be talking with a friend who happens to be a tremendous professional baker, in our cooking studio on Vashon. Or that I would be feeding her blueberry muffins and salted oatmeal cookies, gluten-free. Or that as we said our goodbyes, I’d be offering her a couple of boxes of the gluten-free flour that my husband and I developed together to make baking easier for everyone. Baking can change your life. I’ve always loved Lecia Phinney’s writing: spare and taut, generously open without being too confessional. It’s possible I’d like to be Lecia when I grow up. She also has incredible taste in recipes, choosing dishes that are artful and unexpected yet accessible for kids. Her blog is a wonderful source of inspiration. 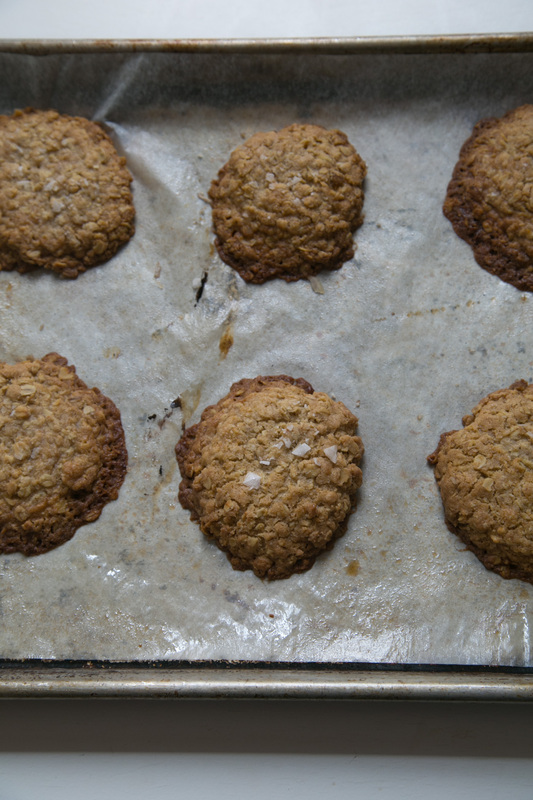 When Lecia posted a recipe for salted oatmeal cookies recently, I jumped up to make them. I adore the homey simplicity of a good oatmeal cookie. Don’t they seem like the perfect after-school snack for a rainy day? But these have the added touch of a pinch of flaky sea salt on the top. Sign me up. These came out so well that we’ve made two batches this week, handing them out to everyone who came to the studio. If you bake them just long enough to let the center set a bit, then a minute or two longer, the edges go crisp like a florentine cookie. It’s pretty easy to imagine making these again and again. Combine the dry ingredients. Whisk together the flour, oats, cinnamon, baking powder, soda, and salt in a large bowl. Set aside. Cream the butter and sugar. In the bowl of a stand mixer, beat the butter for a few moments on medium speed until it is fluffy. Scrape the down the sides of the bowl. Add the brown sugar and cane sugar and mix until they are beautifully combined with the butter. With the mixer running on low, add the eggs, one at a time. Scrape down the sides of the bowl. Add the vanilla and beat until it has disappeared into the dough. Finish the dough. With the mixer running on low, add the dry ingredients. Let the mixer run until the flour and oats are incorporated. The dough should be mixed together well but not too wet. Scrape down the sides of the dough. Hydrate the dough. Cover the bowl with plastic wrap and put it in the refrigerator. Refrigerate for at least 2 hours. Ideally, let the dough sit in the refrigerator to hydrate fully overnight. Prepare to bake. Heat the oven to 375°. Line a baking sheet with parchment paper. Pull the dough out of the refrigerator. It might feel a little crumbly. If you can pinch together some of the dough and it sticks, then you’re good. Form some of the dough into a golf-sized ball and roll it in your hands. Put it on the parchment paper and flatten it, just a bit. Sprinkle a bit of sea salt over the top of each ball of dough. Repeat with 5 more balls of dough, leaving about 2 inches of space between them. Bake the cookies. Bake the cookies until they are starting to turn golden and the centers are just setting, about 12 minutes. If you want, you can bake them a few minutes more to get the edges lacy brown and crunchy. Do not overbake the cookies. You want the centers still soft, with the edges crisp. Take the cookies out of the oven and let them cool on the baking sheet for 10 minutes, then transfer them to a cooling rack. Repeat with the remaining cookie dough. Feel like playing? We haven’t made these dairy-free yet, but I imagine that coconut oil would work well in place of the butter here. A little nutmeg in place of the cinnamon might be great too. Thanks for sharing all of these tips! I am going to give the pancake batter in the fridge a go because yep, almost instant pancakes is something I’m interested in! Also, will you be offering global delivery for your flour mix?? I’m keen to try some but have moved to Abu Dhabi…. I’m afraid we can’t ship anywhere outside the US right now. Maybe someday? The “refrigerate before baking” tip is a big help. I have been baking gluten-free for more than 10 years and still have a hard time with how different the texture of GF baked goods can be. Perhaps this can solve that problem. Question: have you tried making choux pastry with your new flour? The one baked good I can’t seem to replicate very well as gluten free are éclairs or similar French pastry. It would make my year if your flour works well for that. Yep! It works great. We have a churros recipe in our next book based on the choux pastry. That is great! Ok, I will go order some now. The thought of an éclair justifies the shipping cost for me. I love these tips! Especially pre-mixing pancake batter. I plan on trying this with both gluten and non-gluten baking. I’ve loved your site for help with gluten free, because while my digestion has no problem with it, I have family who does and I refuse to leave them out of the treats when they visit. I’m especially lucky in that we have a Wegman’s grocery store near here, and they’re awesome about carrying the fancy flours and making their store brand allergy and celiac friendly whenever possible. The oatmeal cookie recipe has vanilla in the instructions but not in the ingredient list. Cinnamon is listed twice in the ingredients but not at all in the instructions. Cool to know! I’ve been refrigerating more and more of my batters and doughs lately because I found the texture and consistency better in the end product, but didn’t know why! (Also, it’s just me and my husband. If I baked the entire batch of cookies all at once, I’d eat them all. At once.) 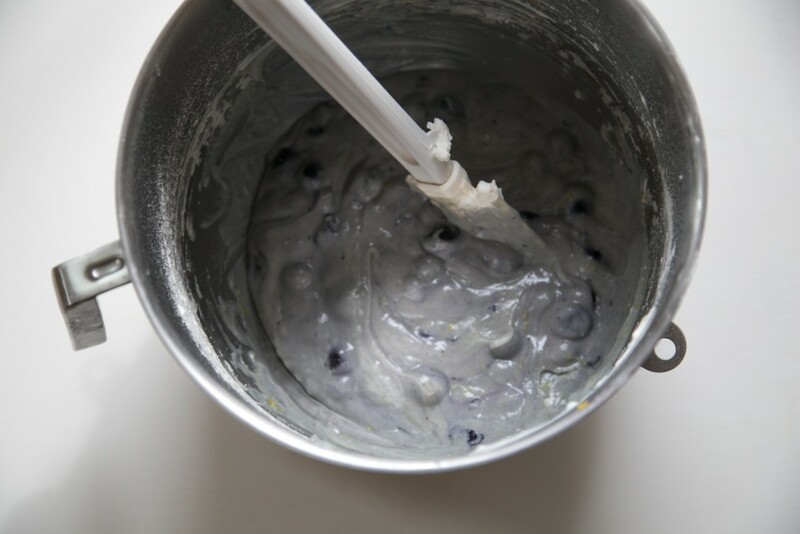 Do you know if resting the batter in the fridge also works better for baked goods like cakes and brownies? Thank you for the refrigeration tips and the oatmeal cookie recipe! I have both of your books, following your love story and your gluten free cooking adventures since being diagnosed with celiac 3 years ago. My wonderfully supportive husband says that I have since become a fantastic cook (out of necessity, of course) but I have refrained from attempting much gluten free baking. Your development of the gf flour and encouraging stories are just what I need to get going. Thanks for being such an inspiration! Oh, yes – the more I look at everything about gluten free flour (especially if I’m using rice) the more I am convinced that it is *all* about hydration… Even just letting something rest for half an hour makes a difference. I’ve been gluten free for less than a year (ironically I was reading your blog well before that, just because I liked the writing and the other recipes…) so I haven’t baked a wide variety, yet. I’ve been more – bake some muffins or make some pancakes, go off and study to find out *why* they did or did not do what I wanted… but I’m learning the flour, that way. Nancy, please come over. I’d love to meet you! and in fact, we’re going to be offering gluten-free baking classes very soon — look for an announcement on this site — so you could come over, let me teach you how to make these cookies, and we could share one together! I love learning the whats and whys of cooking, one reason why I like Shirley Corriher so much. Thanks for the info on letting batter/dough rest overnight. Shauna – have the recipes for folks who donated $25 or more gone out yet? I remember you saying you were reworking the grain-free ones to take out the almond flour. Which recipe did you use for the muffins? I normally use the one that you posted with https://glutenfreegirl.com/2011/01/gluten-free-whole-grain-muffins/ (my copy is full of food stains) but I was curious how you might have tweaked it. I have a gluten full recipe that is lemon yogurt and poppy seed and that is the only flavor combo that I feel like I have a hard time re-creating because I am not sure how to apply yogurt to the “ratios” recipe. thanks. A public service announcement for non-US bakers: American baking soda is double-acting, but in the UK at least, baking soda is single acting. Single-acting means it is activated by hydration alone, not also by heat in the oven. So, resting batters overnight will really reduce if not eliminate the leavening. This is true in Britain, it may be true elsewhere outside the US. I believe baking powder is double acting but baking soda is single acting. Baking soda is single acting. Baking powder in its simplest form – soda and an acid such as cream of tartar – is also single acting. The typical American commercial baking powder, though, is several ingredients in a neutral binder, and reacts to both the acid and, again, to the heat – double acting. And – Shauna is talking about adding more *soda* for insurance – so there may be something else I’ve missed. I do have an old buckwheat pancake recipe that proofs a yeasted batter overnight, and then has you beat in a pinch of baking soda in water before cooking… and it does work and make a difference, so that might also be an options for a batter. 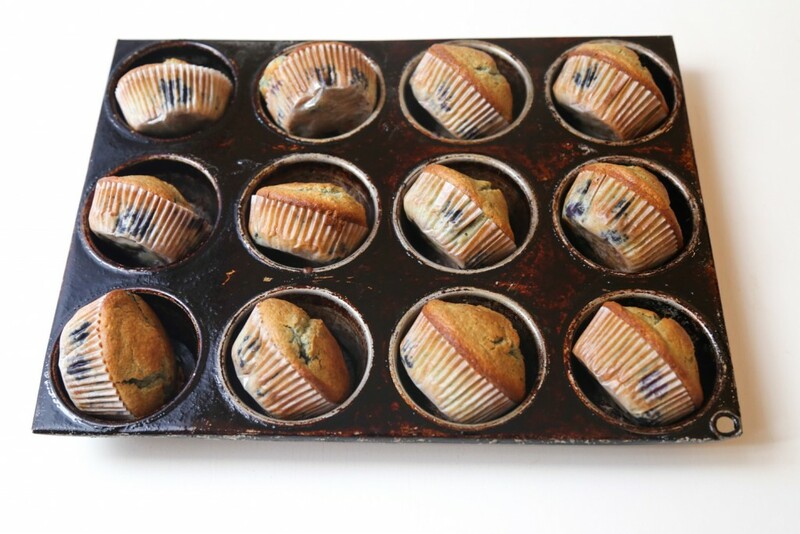 I always take the muffins from the tin, and put them on a oven grid as they cool. Hi Shauna. I’ve discovered that I REALLY don’t care for the flavor of baking soda in my baked goods. Am I correct that using baking powder at three times the baking soda amount works? I’ve tried it in a few things and so far so good but haven’t really ventured to far. Any thoughts? Printing out your post to clothespin my kitch bookholder. Gosh, thanks. This may be the fix to my almond and coconut flour(s) overly-crumbly cookie recipes. Hydration! Refridgeration! Have you sent out all of your Kickstarter flour gifts? We are excitedly awaiting ours and will be future patrons too! Hey Blair, there are a few remaining flours to go out, the ones orphaned by the Kickstarter spreadsheet. If you helped back the Kickstarter, head over to the page and read that latest update. (You should have received an email already.) And thank you! Thank you for your quick reply! I’ll have my husband check, it’s under his name. I discovered a couple of years ago that my muffins turn out better if I let the batter, minus the leavening, sit for about 30 minutes, then mix in the leavening right before I fill the muffin cups to bake. (I’m usually too hungry for a muffin to wait overnight……) Letting batter/dough hydrate also gives me an opportunity to adjust the liquid or flour so they are just the right degree of moistness when they go in the oven. Letting a batter or dough hydrate also eliminates the problem some people seem to have with grittiness. I’ve always baked with “regular” rice and other flours, not the superfine, super-expensive kind from Authentic Foods. I myself have never had any baked good come out gritty, except for the time I mistakenly used polenta instead of cornmeal for cornbread. Those puppies were gritty! But letting batter or dough hydrate fixes that if it’s a problem in someone’s kitchen. I agree, Mary. 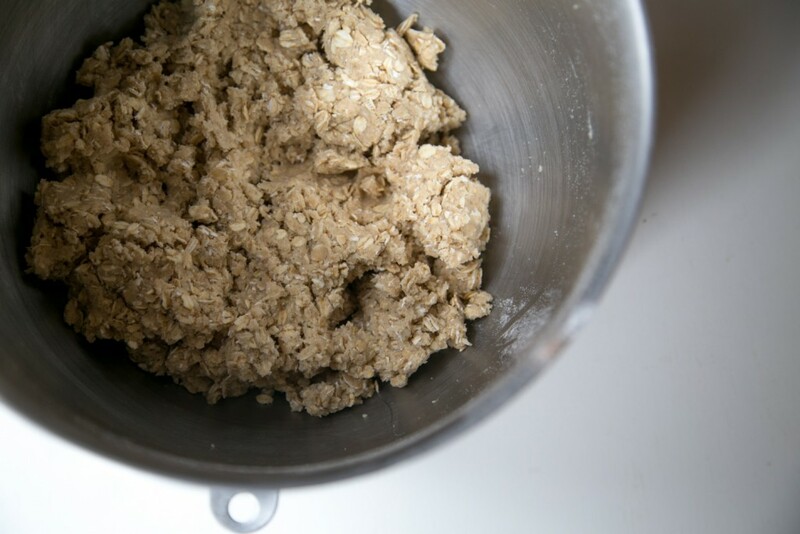 Soaking flours is good for fixing grittiness and other issues. Letting the muffin sit overnight does help too, and it’s the added incentive of not having to make breakfast in the morning but just popping them in the oven! If you are allergic to eggs; what is the best substitute for baking? Flax egg? I’m having trouble finding gluten free and egg free recipes. Made The Chocolate Cake In A Mug using a “gluten” recipe. Added your All Purpose Flour as directed by the recipe and it came out great. No funny after taste or grittiness which are two problems I have found with boxed all purpose flours. No changes because I used a GF all purpose flour. I have FAITHFULLY followed your flour mixture recommendations and have all of the bags of individual GF flours and starches in my refrigerator and freezer. I will be very pleased if the blue berry muffins turn out well tomorrow. I didn’t realize you were supposed to refrigerate your dough before. This will certainly help out my baking in the future. You know, Jennifer, I really don’t have much experience with bread machines. Our sandwich bread recipe is so easy that the bread machine is almost an extra step. But, I do know that the folks I have talked with who use bread machines say the wheat cycle just doesn’t work well. It’s meant to knead and manipulate the dough in a way that the gluten-free dough doesn’t tolerate well. Also, from the sounds of it the bread batter was probably too dry. It’s amazing how wet gluten-free bread batter has to be. In order to avoid that dense loaf, the batter should be the consistency of pancake batter! Dear shauna, thank you for your kind reply and advice. May i say that i soaked the flour overnight to make waffles with an old gluten recipe and they came out perfect. That gave me hope to try the loaf again. This time i soaked the flour in the fridge overnight and i just added the other ingredients and mixed by hand. Am waiting to see if it will rise. Something i used to do when making gluten sourdough was take the loaf pan out of the bread machine and put it back just before baking. In a sense using the machine just as an oven. I have the rt consistency this time. I hope it turns out well. Thank you again for your guidance. Thank you, Jennifer. Best of luck with the bread. And remember: just keep playing until you make it yours. can I use regular sugar? Brown sugar?